The number of identity providers (IDPs) taking part in the Government’s GOV.UK Verify identity assurance scheme has reduced from seven to five after two, GBG CitizenSafe and the Royal Mail, decided against continuing their involvement in the scheme. The number and names of the IDPs involved in the scheme becomes an important consideration following the publication of the government’s written statement earlier this week on the future of the Verify scheme. Another consideration is their reasons for choosing not to continue. In GBG’s case, the reason for deciding to leave the scheme was the government’s terms, which it felt it could not sign up to. GBG and the RoyalMail’s departure leaves five remaining participants: the Post Office, Experian, Barclays, Digidentity and SecureIdentity. The five have been given contracts for the next 18 months, which is when the final tranche of government money earmarked by the Treasury for the scheme is expected to run out. After that, the government expects the scheme to be self-funding. In his statement, minister for implementation, Oliver Dowden said, “The Government will continue to provide state backed assurance and standards to ensure there is trust and confidence in the emergent digital identity market. The Government expects that commercial organisations will create and reuse digital identities, and accelerate the creation of an interoperable digital identity market. This is therefore the last investment that the Government will provide to directly support the GOV.UK Verify programme. It will be the responsibility of the private sector to invest to ensure the delivery of this product beyond the above period. It is understood that the identity providers were offered a ‘take it or leave it’ deal, with the Treasury driving not so much a hard bargain as a brutal one. There is some unhappiness among the IDPs that having had months with which to engage with them, the government only gave them several weeks to decide whether they could make money on the terms the government offered and so continue in the scheme. For some of the IDPs, getting internal sign off and governance as public limited companies in the short time available is thought to have been an additional challenge. One of the five, the Post Office, said it was pleased to be playing an ongoing role in establishing the UK’s role as a global leader in digital identity. A Post Office spokesperson said, “As the market leading provider of Verify, we are delighted to continue delivering the service to the Government. We are also exploring a number of other opportunities, including those in the private sector, that will accelerate the adoption of Verify whilst ensuring convenience and security for its users. However, although the government argues that Verify is now sufficiently mature to move to the next phase of its development, with the private sector taking responsibility for broadening the usage and application of digital identity in the UK, some identity specialists are worried over whether the private sector actually wants it. Two reasons mentioned to Government Computing are concerns over the Verify user experience and the low degree of traction Verify currently has, around 3m accounts. What is urgently needed, influential identity specialists say, is some serious marketing and the publication of a government identity strategy. As to the costs of Verify, although the often quoted cost is £130m, some argue that that is actually outweighed across government by what all the departments and agencies of government currently spend in total on identity. What government actually spends on identity, covering all the operations of identity, fraud, error, debt, how much identity costs to validate, and how much proprietary hardware and software is bought to do that is close to £1.5bn. That includes the cost of identity mismanagement, duplication of data, fraud, error, debt, security, multiprocessing, double entry and triple entry of the same data. In answer to a written question from the Labour Party, Oliver Dowden recently said the Cabinet Office had recently conducted an assessment of the costs and benefits of GOV.UK Verify over the period 2016/17 – 2017/18. But the assessment has yet to be audited and figures are not yet available. Previously audited figures indicate, he said, that Verify has cost £54.4m to develop and has saved £111.44m. One identity specialist discussing the cost of identity across government said, “Yes, that work has been done and, yes, the numbers are ridiculously big – probably too big to be helpful! It means everyone has an opinion even if few understand the subject. “The problem is confidence and leadership – both are in short supply. Verify had both through five years of Francis Maude as Cabinet Office minister and Mike Bracken at GDS. But subsequent civil servants were timid when they claimed to be bold. They would not allow the private sector to use Verify in case they tainted it. That starved Verify in its youth. 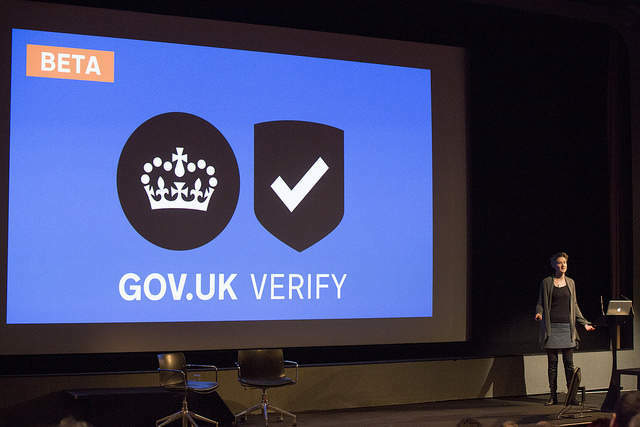 In the meantime, while existing GOV.UK Verify standards work for public services and are accessible through the GOV.UK Verify platform, the Department for Digital, Culture, Media and Sport (DCMS) is beavering away on what a digital identity tool should look like for use across the wider digital economy. A first version of a new standard for digital identity could be ready by November this year, a meeting of identity specialists was recently told. Such a new standard is likely to offer potential for organisations offering identity services who felt they missed out on being included in the initial tranche of IDPs and now want to become part of a wider identity ecosystem. For its part, GDS is understood to consider that the work it has done on identity assurance over the last six years to have been a success, putting it “on the cusp” of a significant move forwards now through future private sector involvement. Commenting on the latest developments, Mvine managing director Frank Joshi said, “The Minister for Implementation makes it sound like it was always planned to be this way. It wasn’t. But Oliver Dowden’s written statement to the Commons, repeated by Lord Young to the Lords, comes as very good news indeed. “Progress on assuring mass adoption of digital identity under the Verify flag has been held back by vacillation and opacity within central Government which almost kyboshed the entire scheme on more than one occasion. He added, “Government proactively turning Verify over to the private sector is not an admission of failure but a clear signal that it recognises what most of us already know: the private sector is able to deliver technological innovation at a pace and a quality that is now needed. Privacy campaigners have nothing to fear. The private sector is able to assure no back-doors exist in any of the technical and functional components which make up the sub-system. “For our part, as a Hub Service Provider, we’ll continue to assure the tool that makes the sub-system work in harmony is available for Identity Providers and for Service Providers in the public and private sector whose job it is to work together to build the open market for digital identity. He concluded, “It’s all about making sure that every citizen has the opportunity to have a digital identity. In the coming 18 months that Government has funding for, the framework for that is what they need to put in place. And that behoves DCMS and GDS to settle their differences and engage fully with the private sector so that details of frameworks can be worked out in a civilised way, not like a ‘wild west’. “That is why the most pragmatic way forward for the private sector is a consortium, working as a healthy ecosystem toward a common goal, to digitally enable the whole of society. The technology sub system which powers this will become part of Critical National Infrastructure. That means GCHQ and NCSC will need to engage with private sector too,” he said.